LivingSocial will use this investment to continue its momentum of worldwide launches and overall business growth while continuing to serve deals to more than 10 million current subscribers. LivingSocial’s rapid expansion has the company currently booking revenues of more than $1 million a day on average and is projected to book well over $500 million in revenue in 2011. 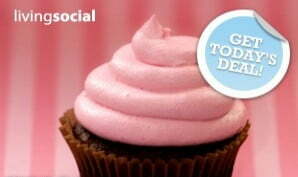 LivingSocial lets anyone receive coupons for local restaurants, shops, activities and services in their area. The company has dedicated area experts on the ground in every location working directly with business owners, and researching the best local adventures to bring a savings of 50% to 70% for consumers. Recently, LivingSocial expanded its business by acquiring adventure company Urban Escapes, a site which offers outdoor excursions. The daily deals space is increasingly crowded, with at least a dozen competitors vying for attention by consumers through daily emails every morning. The leader in the space, Groupon, is the one to beat and is rumored to be in acquisition talks with Google, reportedly for $6 billion. If the Groupon/Google acquisition does go through that would significantly change the playing field for its largest competitor, LivingSocial. Currently both companies spend roughly $1 million a month in online advertising, a fee which would likely be waived if Groupon joined Google.